You've launched your website, now what? A lot of work goes into launching a new or updated website. Oftentimes, teams are pulled together to plan site organization, develop content and review designs. Then once the site goes live, those team members go back to their regular responsibilities and the website is left to fend for itself. A website will never be successful if you launch it and ignore it. The successful online marketing plan then considers those activities in a strategic framework. Dave Amsler, Vice-President of Kermans Flooring, regularly meets with TBH Creative to evaluate both online marketing activities and the strategy around them. "Having someone constantly reviewing and staying up with the ever-changing technologies online has been important to our success. We especially appreciate the impact of social media management and fresh content with regular blogging." notes Amsler. Kermans and other websites know that an online marketing strategy should continually assess, measure and evaluate activities. 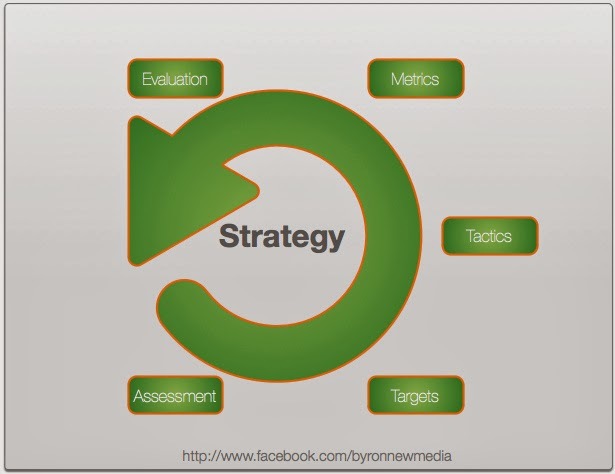 Online marketing strategy should also include plans to regularly update your website content. Build on the basic idea of making sure all information is current and accurate and look for ways to keep your content fresh and interesting. Regularly updated content attracts your audience to turn to your website as a reliable resource. Beyond that, regularly updated content also tells search engines you’re serious about your business and a worthwhile resource to list high on search results. Learn more about making content the king of your website in our article on Proactive Website Maintenance. Content marketing doesn't mean you are using your online marketing channels to hard sell your prospective customers. Simply put, content marketing creates content on an ongoing basis that is interesting, attracting and engaging. This could mean regularly updating a news section of your home page and developing an email newsletter. It might include a plan that focuses your social media activity on a certain theme or topic. Content marketing is driven by that online marketing strategic plan and delivers useful information to your audience. Learn more about smart content management from the Content Marketing Institute. TBH Creative believes strongly in the value of developing an online marketing strategy with smart, engaging activities. That's why we developed our suite of tools for Site Success Management. TBH Creative's Site Success Manager helps our clients proactively manage their website and all online marketing activities with a site success plan. TBH Creative's ultimate goal is to help you build an effective Internet strategy based on research, goals, and available tools. We don’t stop with a website launch. TBH Creative is an Indianapolis-based, creative website developer. We design & build results-driven websites and help you promote them. Learn more about what guides us.